The Usos and The New Day will both challenge for Cesaro & Sheamus' SmackDown Tag Team titles at TLC. 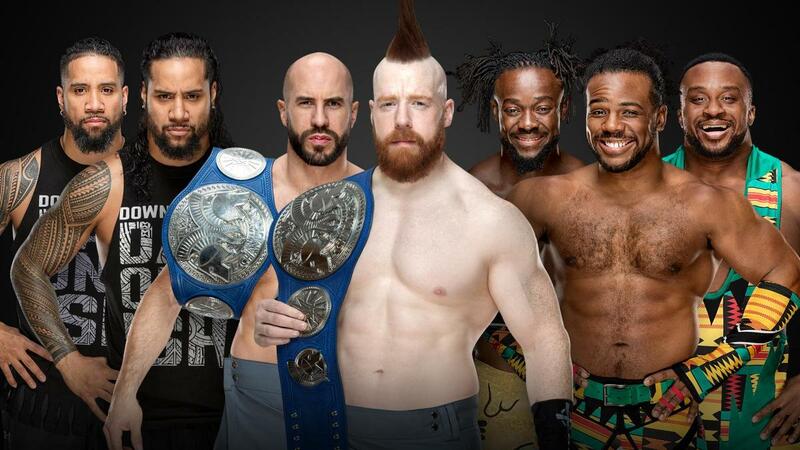 WWE announced tonight that Cesaro & Sheamus will defend their titles against The Usos and New Day in a triple threat match at TLC in San Jose, California on December 16. The Usos defeated Cesaro & Sheamus in a non-title match on this week's SmackDown, and New Day defeated Cesaro, Sheamus & Big Show in a Thanksgiving Feast Fight on the November 20 episode. Cesaro & Sheamus won the titles from New Day on SmackDown 1000 in October. Big Show aligned with Cesaro & Sheamus and helped them win the titles, but video of an angle aired on this week's episode where Big Show punched Cesaro after he blamed Big Show for their loss in the Thanksgiving Feast Fight. Sheamus said they'd be better off without Big Show.